Back in 2000, Shah Alam was officially declared a city. Be that as it may, the place still managed to retain its suburban-esque vibe to provide residents and visitors with a neighbourhood feel when they’re in town. Being the state capital of Selangor, a lot of people are attracted to Shah Alam due to its lush green landscapes and well-maintained parks, along with the presence of UiTM, which only draws a younger demographic of Malaysians in. 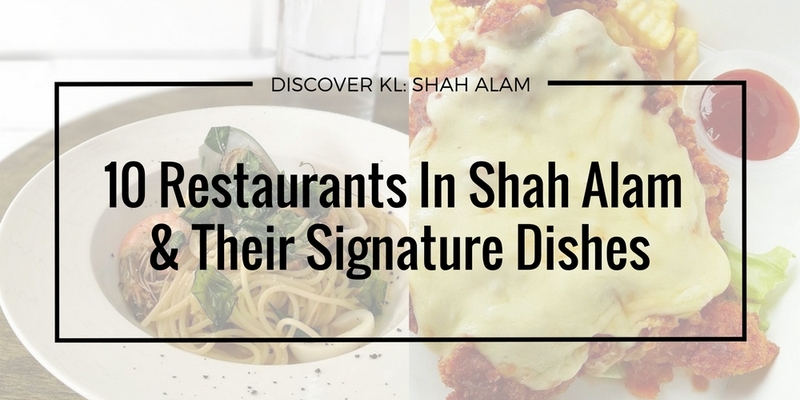 Not only that, there is an array of unique cafés with specialty signature dishes dotting the geography of Shah Alam, playing a part in the endless traffic that crowds the city. If you are interested in visiting one of those cafés, here is a list of the cafés you must visit and the dishes you must try while you are there. 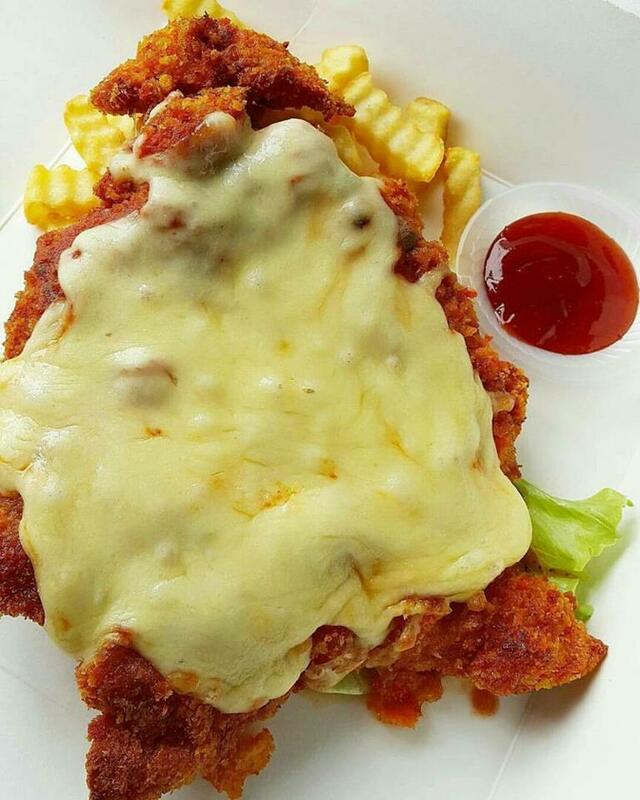 In one residential area at Bukit Jelutong sits One Serambi Café. This place is not huge, but the glass walls help in creating the illusion that visitors actually feel free and not that claustrophobic. The interior is also a tribute to Bukit Jelutong, decorated with mementos of Bukit Jelutong in the past. 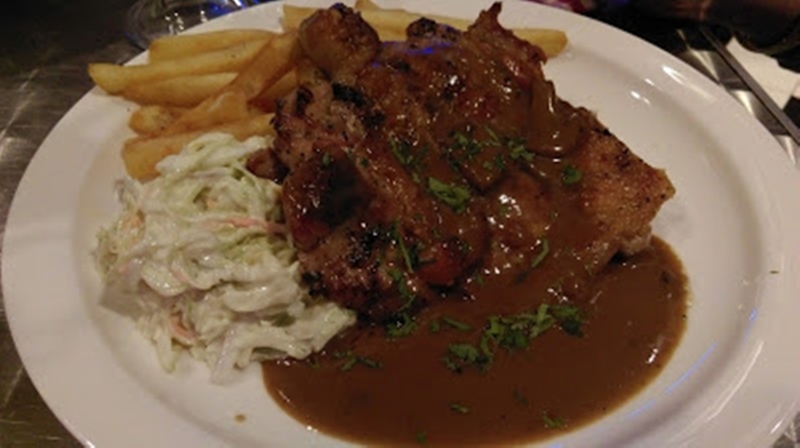 Their menu is a fusion of Asian and Western dishes, though there is a wider range of Western food. 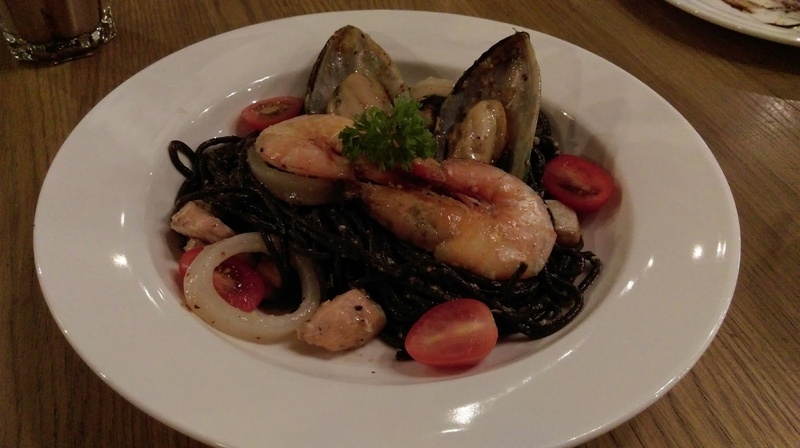 One of their signature dishes is the squid ink pasta, where it is served with generous mussels, prawns, and squids. 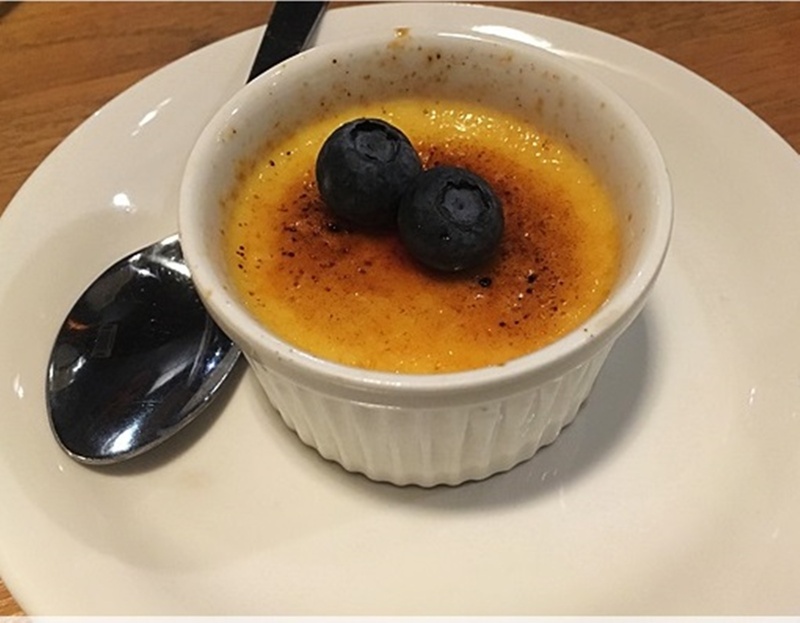 Visitors also go to this café for their crème brûlée. Reviews claim that it is not too sweet, and the custard is thick and creamy with a hint of vanilla. Hours: Tuesday-Thursday: Saturday-Sunday, 9.30am-12am, Friday: 9.30am-1pm, 3pm-12am. A café with convenient parking spaces? This one is the one for you, for it is located at the Worldwide Business Center and next to Goodhope hotel, which means the entrance to the parking lot is right in front of the café. There are two divided areas to this café, one for smokers and one for non-smokers, so both parties can enjoy their meal together! One really unique feature to this café is the fact that rather than plates and glasses, they use boxes and paper cups to serve food instead, regardless of whether you are dining in or taking away. So when you are, instead of eating their signature dishes – chicken parmigiana, super steak burger, and chef spicy pasta – out of real plates and glasses, you get to eat them in an environmental friendly way, allowing the staff to recycle the boxes and paper cups thereafter. Just by the name alone, it should be understood that the main selling product of this place is their cakes. While their coffee menu is limited, you can be assured that all of them will go perfectly well with the yummylicious cakes they offer on the menu. 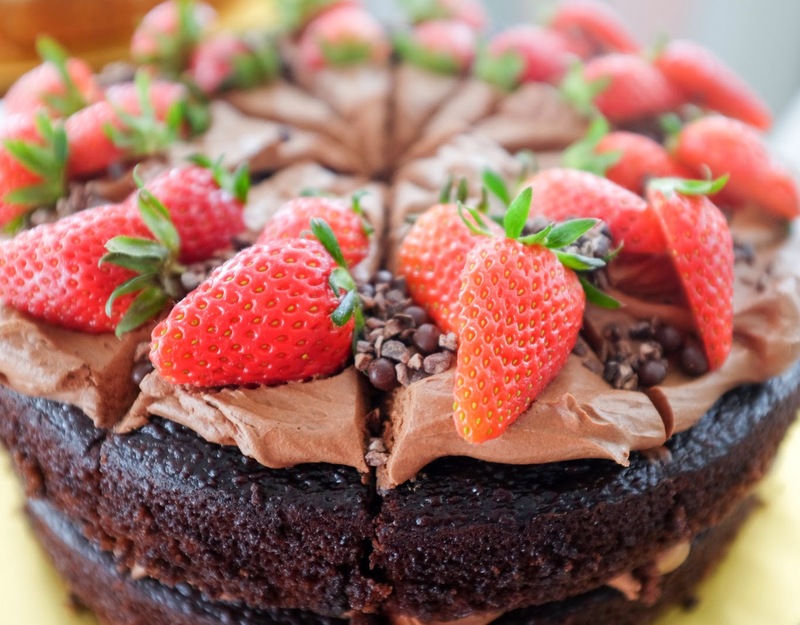 Certain cakes are available on certain days, so make sure you study their menu carefully before you place your order. 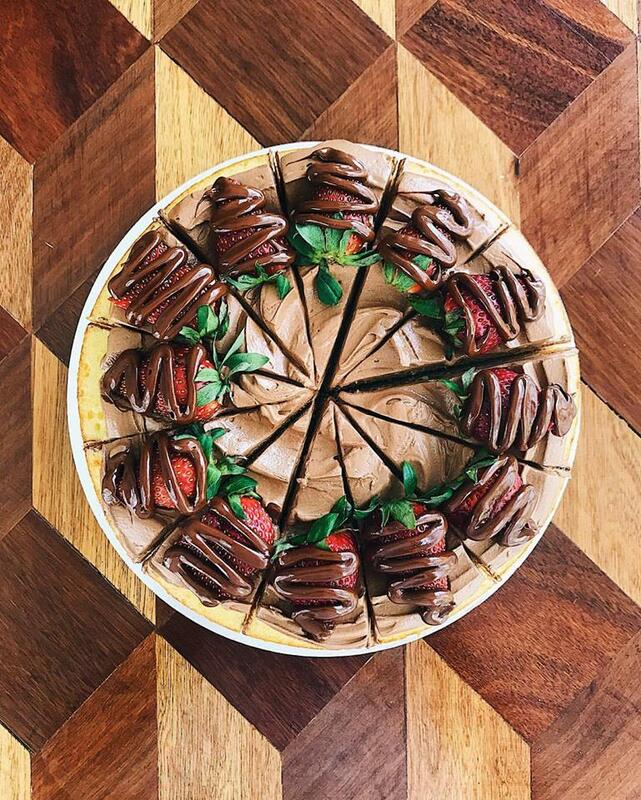 Their signature cake is the Bella Nutella, which is an equal combination of vanilla and Nutella. 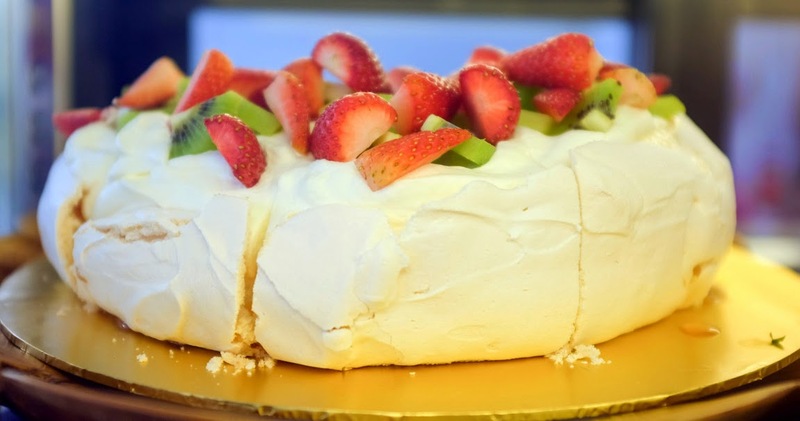 However, they still have an assortment of cakes available, such as the salted caramel and chocolate cake, Cake Spade lemon meringue and Berry Sue pavlova—all fresh from the oven! 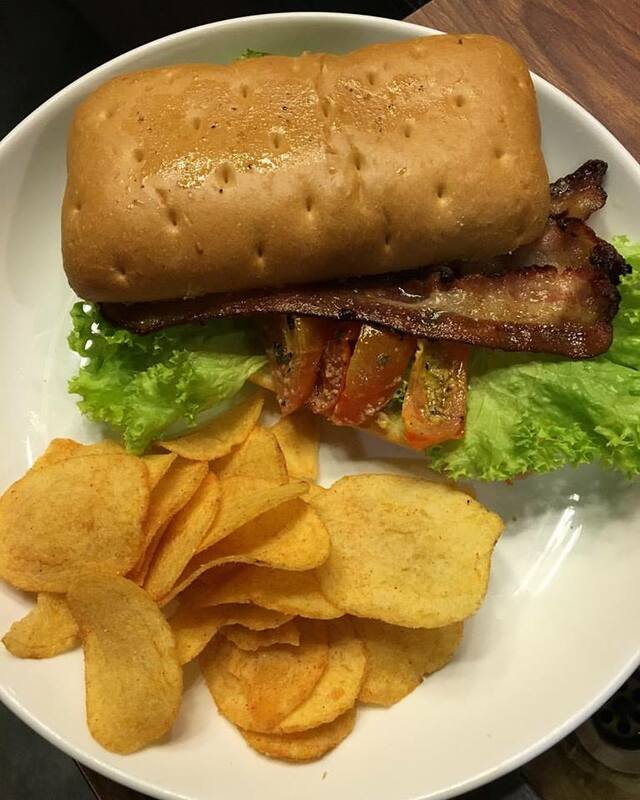 Food and art, you get the best of both worlds at Grandeur Gallery Café. Apart from being a café, it also doubles as an art gallery, displaying artwork and pieces by Malaysian artists. You can even choose to buy a piece if it pleases you! If not, then you can just order a drink and some food, and admire the art while you’re having your meal. 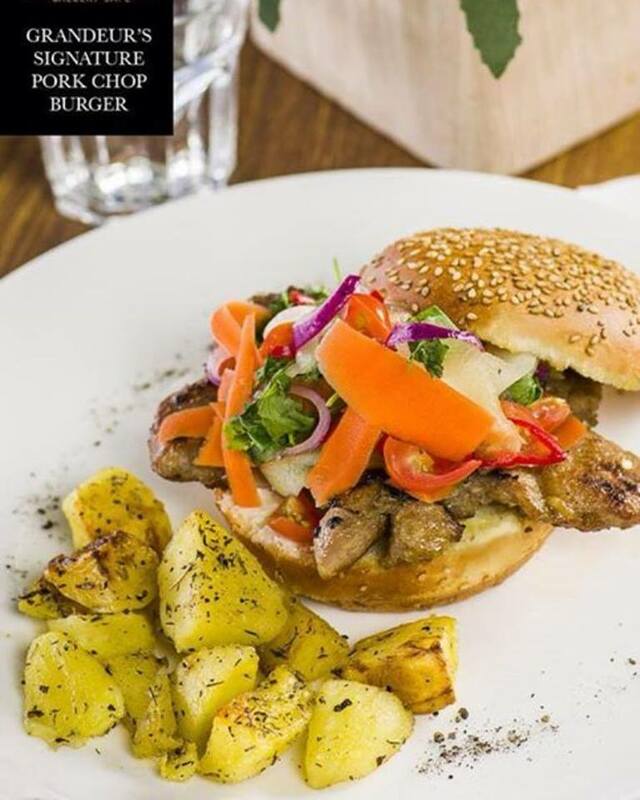 If you need advice on what you should order, try out their specialty food: pork chop burger and BLT sandwich. 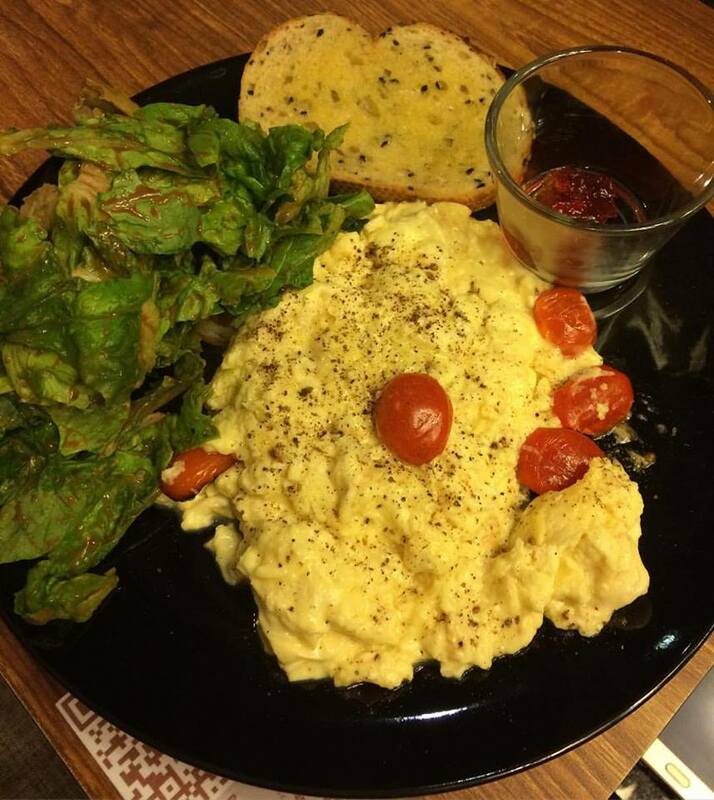 If you are there on the weekends, you can take chances on the scrambled eggs and the Grand Brekkie set as well. Hours: Tuesday-Friday: 11am-6.30pm, Saturday-Sunday: 9.30am-6.30pm. 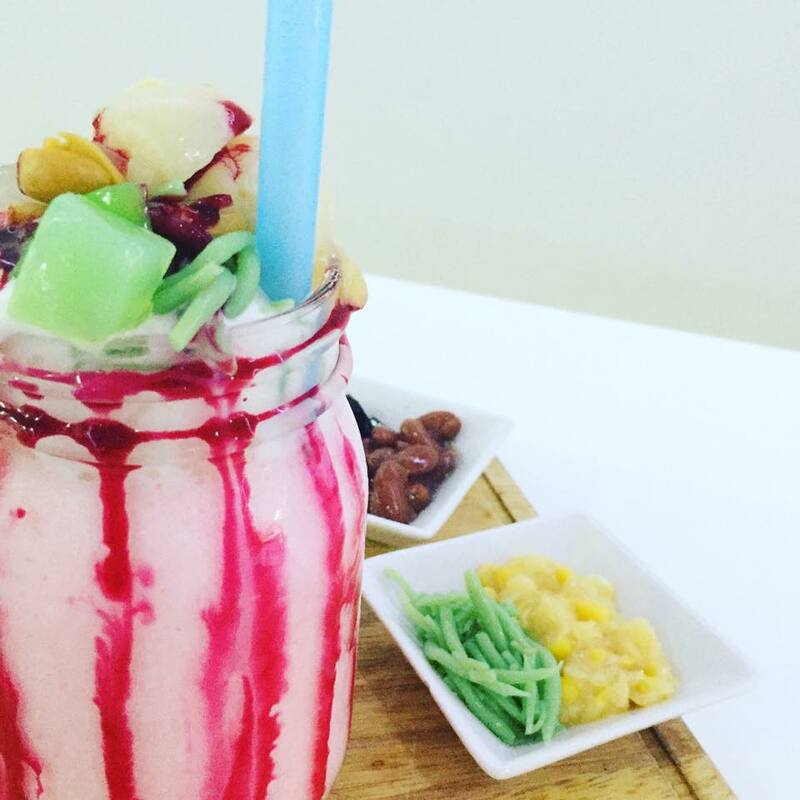 Kota Kemuning is not exactly teeming with cafés, but Sips & Bites is one of the handful and it is totally worth the trip. Funnily enough, the Grandeur Gallery Café is just one floor above this, which makes the set up of this article all the more ironic. Almost all of their dishes are made from homemade recipes; they insist on a policy of no MSG being used at all, so most of the drinks and ingredients are imported from the USA. 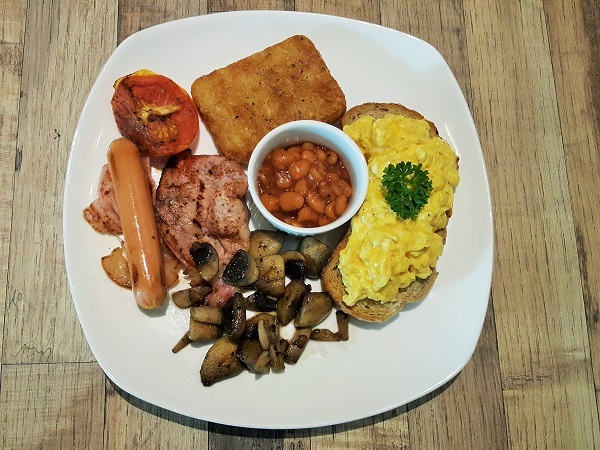 If you’re there in the morning to have breakfast before going off to work, do not miss out on their signature breakfast meal, the Big Breakfast, which is served with pork bacon, pork sausage, hash brown, sautéed mushroom, baked beans, grilled tomato, and scrambled eggs. Not there for breakfast? 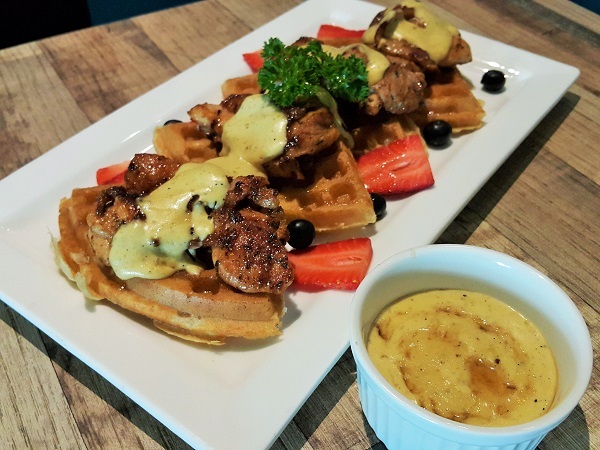 No worries, because you can also try out another one of their specialty, the classic waffle with grilled chicken. Hours: Tuesday-Friday: 8am-6pm, Saturday-Sunday: 9am-7pm. Another one of the handful of cafés in Kota Kemuning, Brew & Bread contributes to the growing number of caffeine addicts visiting Shah Alam, all for a taste of their caffeine goodness, along with their available foods. Instead of completely refurbishing the shop lot, they utilise the already existing natural elements in the interior, and put it all to good use into making the place a little more homey and old-school. They offer breakfast, lunch, and dinner sets at the appropriate times for their patrons. 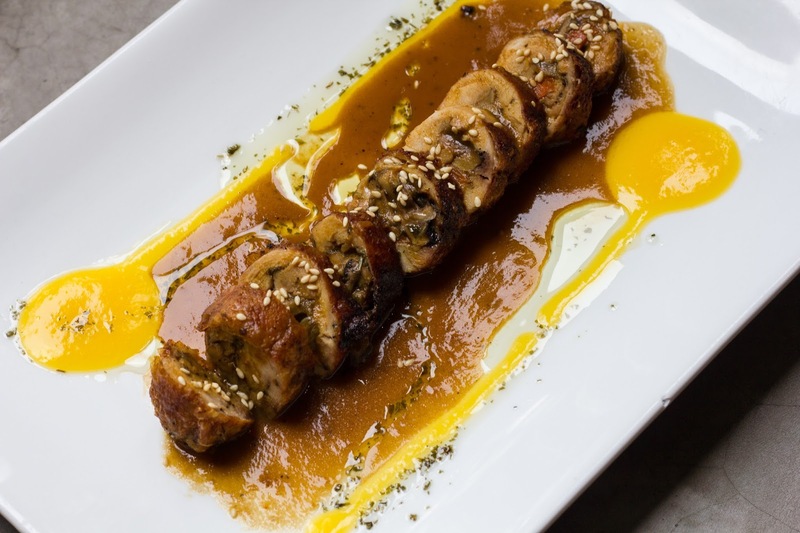 If you wish for some meaty goodness that is not too heavy, order a plate of chicken roulade and be ready to have your minds blown. 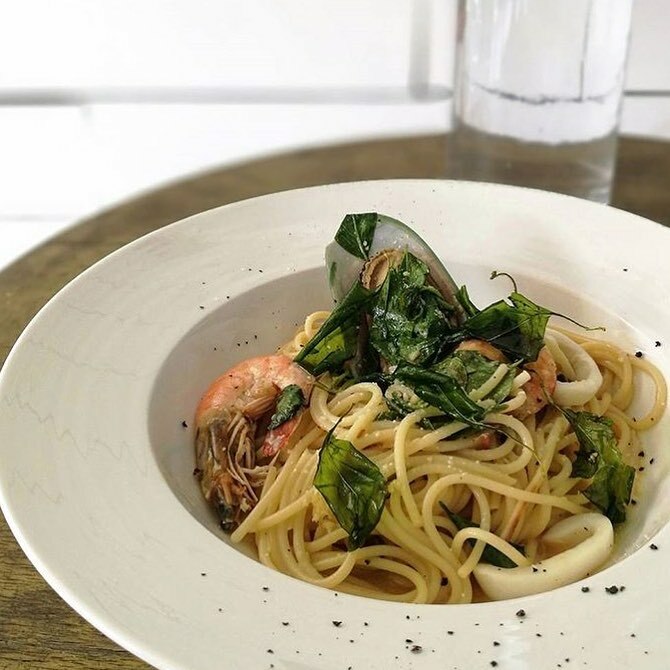 Besides that, if you want to have something filling, get yourself a plate of prawn aglio olio – you might get yourself confused with which taste belongs to which ingredient because they cook it so well that everything fuses together in a beautiful harmony. Nothing says cooperation more than when two sisters work together and open up a café with a uniquely designed menu that definitely delivers value. An effort by two sisters aimed to provide Malaysians with a taste of local culture while also keeping up with the modern design of the café industry, Kotakotak Café is a rather popular place in the area. The interior design is minimalistic and is perfect for Instagrammers! 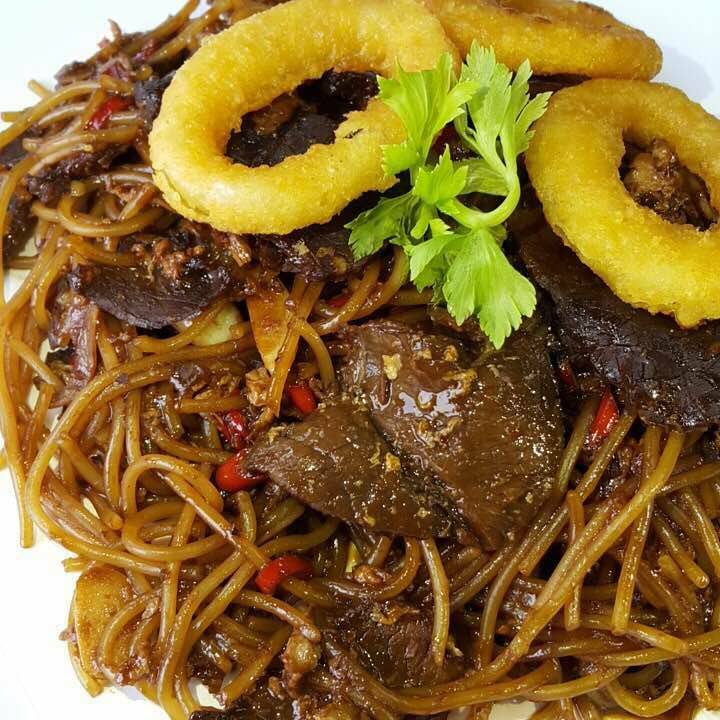 The menu they provide has never been seen before, with almost every one of the option bound with a tidbit of solely Malaysian taste. 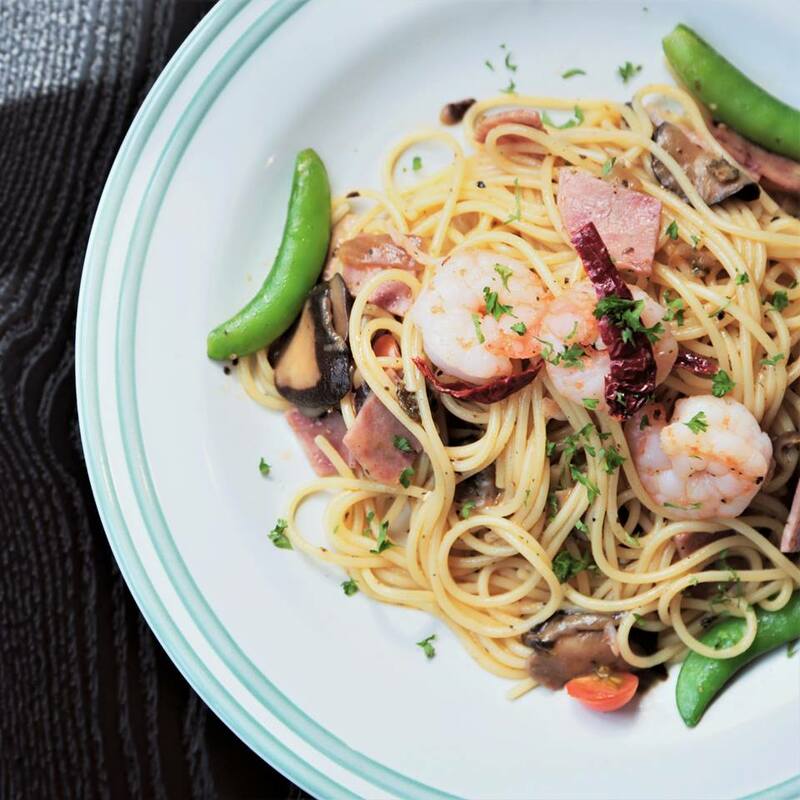 For example, their signature dish is the cili padi aglio olio—we’ve all heard of aglio olio with olive oil, but when have we ever seen one that is topped with cili padi? Food is not the only thing they have tackled. They’ve also added a twist to milkshakes, adding ABC milkshake to the market. Are you looking forward to a day to relax without your children? Are you finding that you might never be able to do that? Well, a couple hours of reprieve won’t hurt, right? Because you can always go to Kopimeo Café with your children and let them play in the play area while you have a cup of coffee and some quiet moments to yourself. 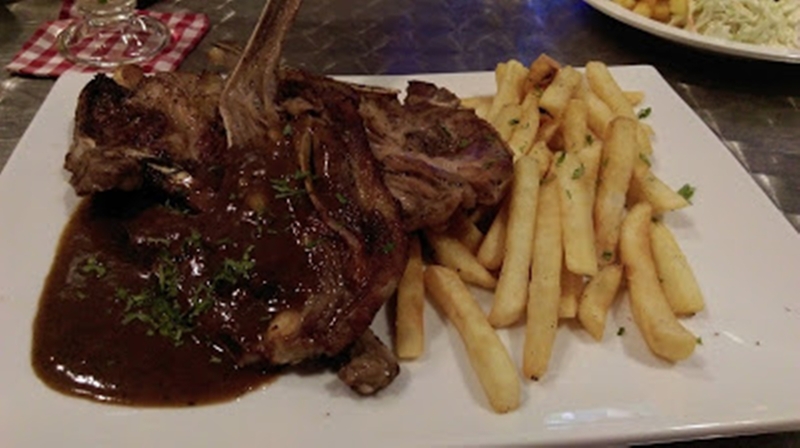 Their menu offers an all-day brunch set, a pasta selection, a kids’ menu, along with finger food and desserts. 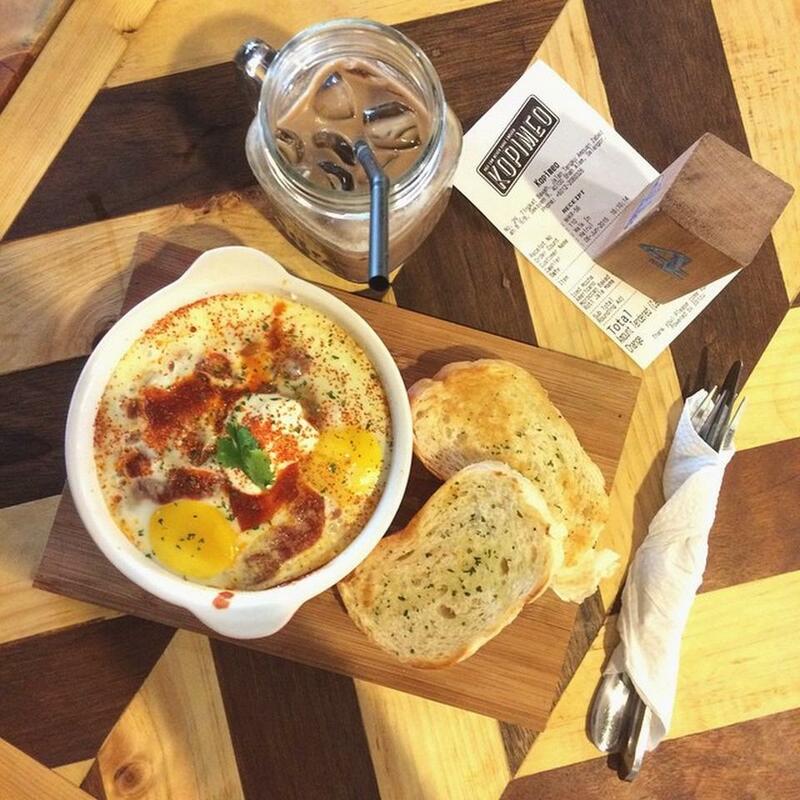 However, the one thing you cannot miss out on at Kopimeo Café is Shakshuka, which translates to Moroccan baked eggs, a dish that you surely will not be able to find anywhere else in Malaysia. With a name like that, we can expect it to be an absolute attraction for millennials and the youngsters, and it is. They call it so because they believe in “the science of socialising”—their actual motto—and what better way to socialise than over a drink and some food? 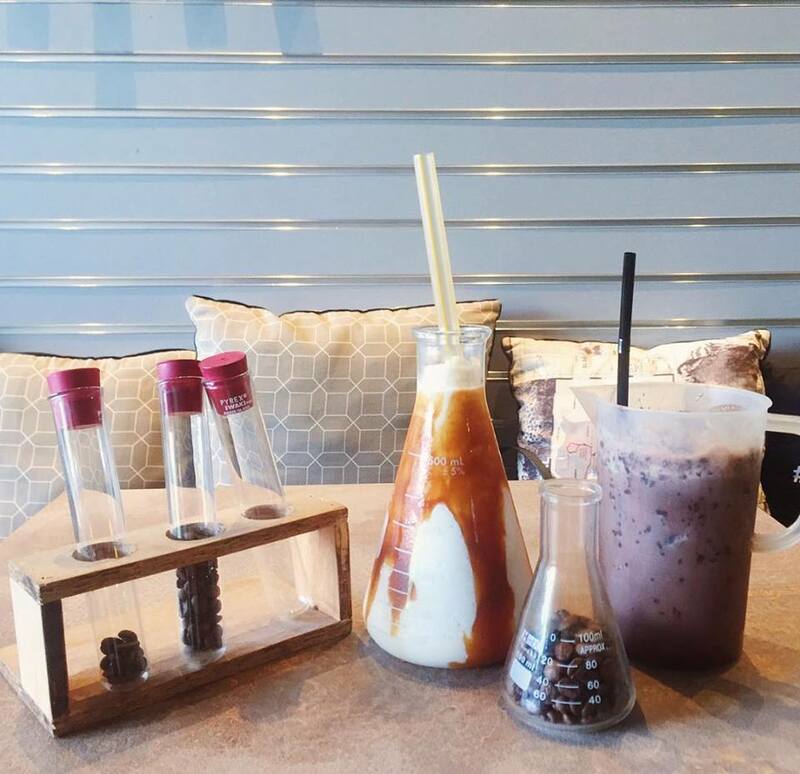 As per their namesake, the place is decorated with chemistry stuff: beakers, pipettes, formulas etc. Even their beverages are served in beakers and syringes. War flashback to form four and form five. Still, don’t let the decoration fool you, because they actually have pretty good food here. Their most bombing offering is the Bomb Chiller, a caffeinated drink—be it mocha or chocolate—to which you have to pump liquid sugar with a syringe. 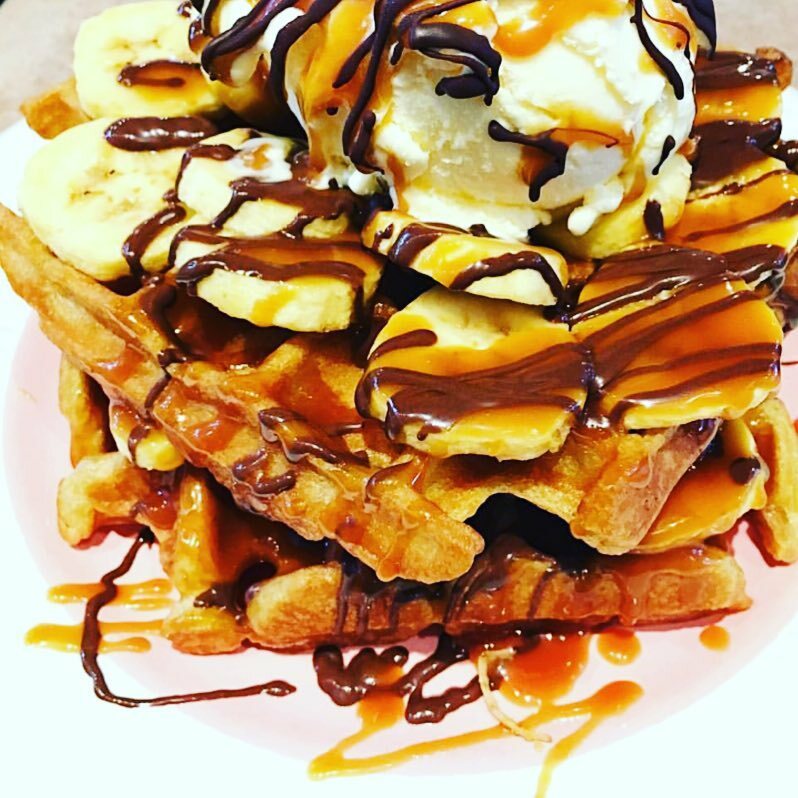 They also offer a wide array of dessert, such as waffles and cakes, that you can choose from and complement your chillers. Hours: Monday-Thursday: 12pm-1am, Friday: 3pm-1am, Saturday-Sunday: 10am-2am. It’s not easy to locate Holy Smoke Café, given that it is located among a host of nondescript stores. However, find the time to find this café, because it will definitely be worth it. For one, at first look, you might think that it’s more like a seedy bar than a café, and that is where the uniqueness of the decoration lies, because at first glance, you might think that someone is going to suddenly dance in the middle of the floor. As it is a diner-style café, of course they are going to serve diner-style food. 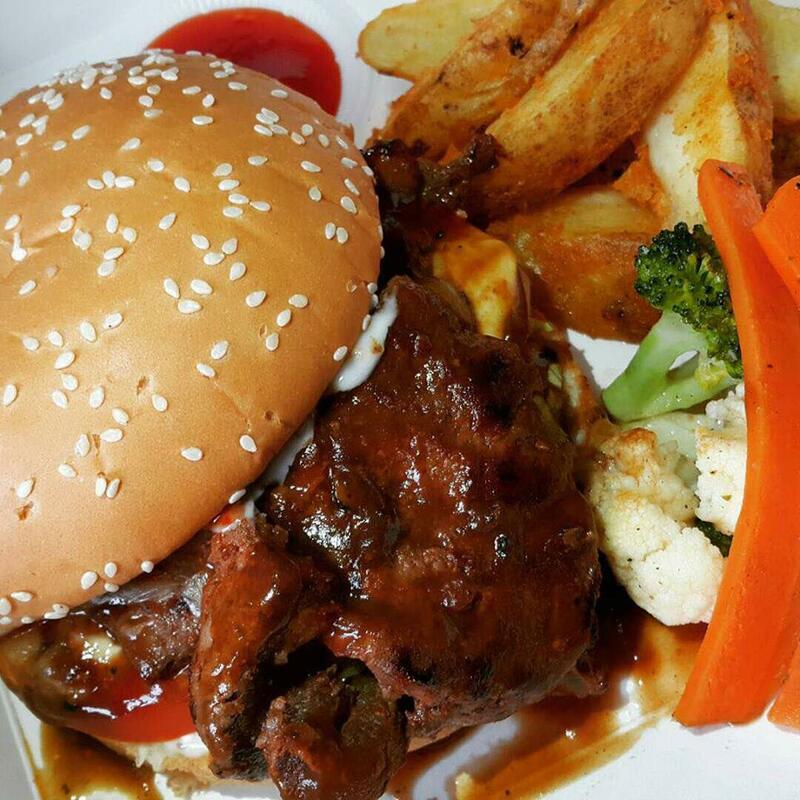 Among the options available, you can find food like burger, New Zealand lamb chop, and grilled chicken chop. Still, there are still some rather localised food, such as fried rice. Hours: Tuesday-Friday: 12pm-3pm, 5.30pm-11pm, Saturday-Sunday: 5.30 pm-11pm.